The government line agency (GLA) partnered with several schools and companies and launched the REV-BLOOM project in January. Tourism Officer Linda Fines on Tuesday said deadline for submission of entries for the REV-BLOOM Photo Contest is on February 24 and judging on February 25. REV-BLOOM Photo Contest is co-sponsored by ThinkDarma Inc and NIKON Phils aims to highlight tourist spots within the BLISTT area – Baguio City; La Trinidad; Itogon; Sablan; Tuba and Tublay – including its people, culture, tradition and food. 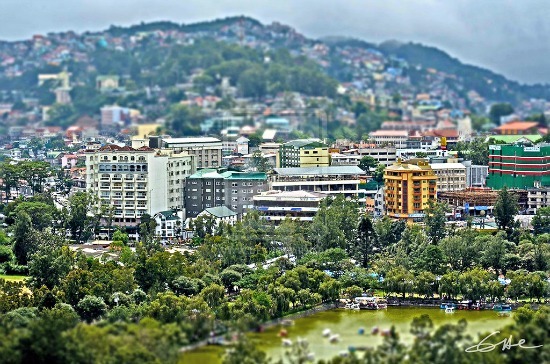 Through “REV–BLOOM”, Baguio seeks to incorporate green architectural design to tourism infrastructure and other tourism sites in Baguio City and its neighboring communities. Under the MoA, UC commits to share its expertise, skills and knowledge in providing technical assistance and services to DOT’s projects under REV–BLOOM Baguio including the green architecture design of the DOT Regional Office and Master Development Plan of the Tourism Complex and nearby Sunshine Park. DOT-CAR is also looking into the Burnham Park Master Development Plan designed by the UC to see how the agency can bring in short and long term development projects Baguio’s premier park. Another program in the REV-BLOOM Project is beautifying and filling the houses of Barangay Balili residents, with colors. Inspired by the design of Favelas in Rio de Janeiro, Brazil, the agency believes that painting the stone hill houses of La Trinidad, Benguet may foster pride and attract tourists to the community. This REV-BLOOM Project involves the painting of more than 200 houses in three sitios – Botiwtiw, Sadjao and Stone Hill – to become a large piece of art by the Tam-awan Artists. DOT-CAR partnered with the Municipality of La Trinidad through Mayor Edna Tabanda, Davies Paints Philippines through Vice President for Sales and Marketing Albert Lee, Benguet Governor Nestor Fongwan, Chanum Foundation President Jordan Mang-osan and Balili residents. Painting of the houses started on February 1 and may be completed in time for the Strawberry Festival in March. The Favelas earned popularity in Brazil after heavily populated urban informal settlements characterized by substandard housing and squalor were turned into tourism attraction by painting houses in a rainbow of bright colors. The beautification plan is in consonance with the Baguio-Boracay Redevelopment Task Force created in 2013 by President Benigno Aquino III under Memorandum Circular 47. In another REV-BLOOM Program, a MoA was forged between the agency and Boysen Paints Vice President for Marketing Ruben Cueto with Baguio City Council Tourism Committee Chairman Elmer Datuin and Department of Public Works and Highways (DPWH-CAR) Regional Director Danilo Dequito as witnesses. The REV-BLOOM Program is an Urban Rehabilitation Tourism Campaign which aims to rev-up, revive, revisit and revitalize the city through the implementation of projects that would instigate the re-booming of Baguio City into a sustainable mountain resort where tourists can enjoy their vacation with unforgettable experiences. Under this program, strategic interventions will be re-greening and re-blooming projects as well as infrastructure development. Under the agreement, Boysen Paints, as part of its corporate social responsibility program, will paint six pedestrian overpasses along Harrison Road, Abanao/Harrison intersection and Magsaysay Avenue as identified by DOT, DPWH and the city government. App-based transport service Grab on Wednesday announced that it will be rolling out a free horseback service for those attending the upcoming Baguio Panagbenga Flower Festival this weekend. GrabHorse, according to Grab, will pick up and drop off passengers to different Baguio tourist spots like Wright Park, Mines View, The Mansion and Pacdal Area from 8:00 a.m. until noontime and from 2:00 p.m to 6:00 p.m. Passengers simply have to open the Grab app and select the GrabHorse icon to book to their preferred Input pick-up and drop-off points. Despite negative comments from some netizens, Grab assured that no horses will be harmed with this campaign. In fact, the firm noted that the campaign will even help the animal's living situation. “Campaigns like these are meant to promote the local cultures of the cities we are in,” Grab said on its official page. On the other hand, the Land Transportation Franchising and Regulatory Board (LTFRB) has anticipated the increase in passengers flocking to the summer capital of the Philippines by issuing special permits for buses plying the Baguio City route.